We’re fascinated with natural, high-quality materials, like wood or marble, and we use only them to make our furniture. We choose by ourselves both planks and stone and we’re really picky when doing it. That’s why, just like in nature, there will never be two identical items. Thanks to the manual selection of the materials, we’re able to meet the biggest challenges. Wood is a natural and exceptional material. Thanks to that, we can make different creations, avoid standard solutions and adjust the product to your requirements. You won’t find two identical planks. There are always differences in structure, rings, size, the number of knots and discolorations. If you’d like your table to have many knots or cracks, or lack them completely, just let us know about it. 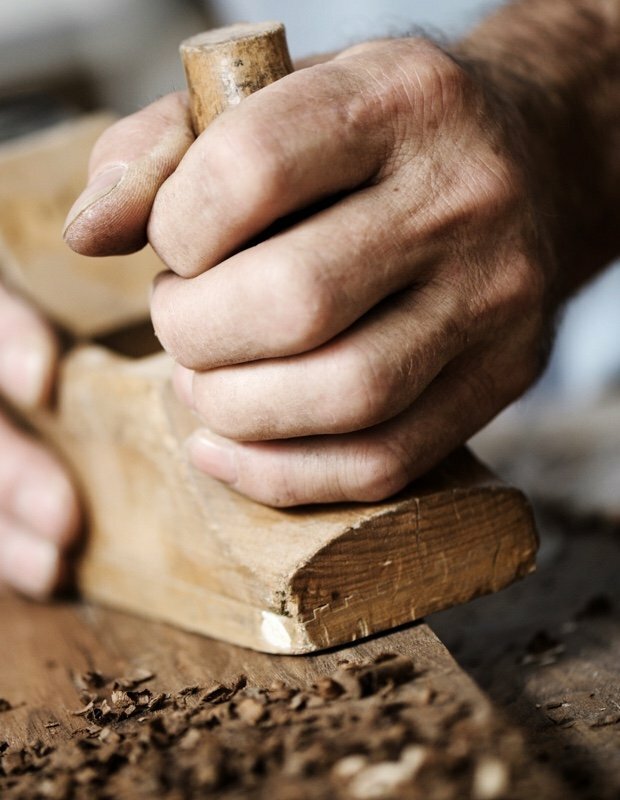 We use in producing the most durable kinds of wood, like oak, ash, exotic teak, and American walnut. All come from certified forests which means that our material has been extracted in an appropriate and environmentally safe way. Marble is an extremely noble and fully natural material. Very characteristic for marble is the pattern that gives it a unique character. Sometimes it’s more visible, sometimes less, it’s intensive or almost indistinguishable. 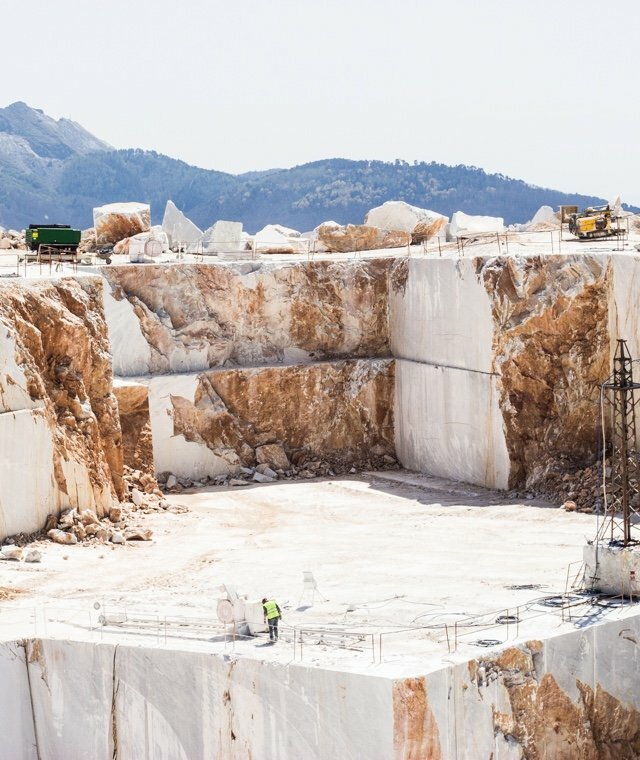 Marble is just as nature created it. That’s why, every tabletop will look differently. Marble is available in a few color variants - from classic white, through grey, to black and some other multicolor variations. After selection, chosen materials go to our experienced craftsmen who start working on them. 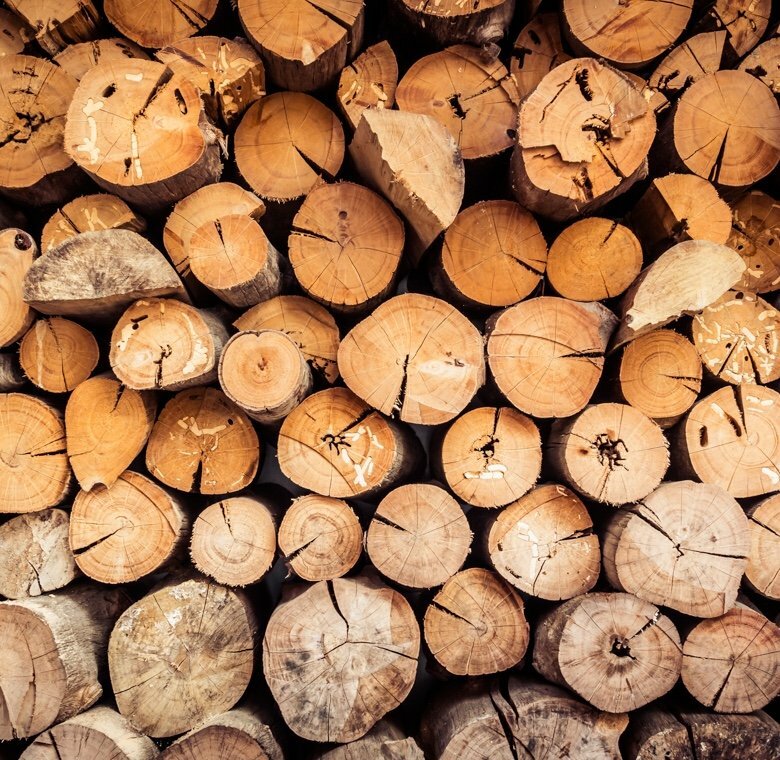 Every piece of wood, stone, steel or brass that we use in production, is treated with respect and handled with great carefulness. Every table is hand-made in our manufacture. Thanks to that, we supervise and control every production step. We know a lot about the materials we work with. It gives us an opportunity to take care of the quality and makes all our products refined in every detail. 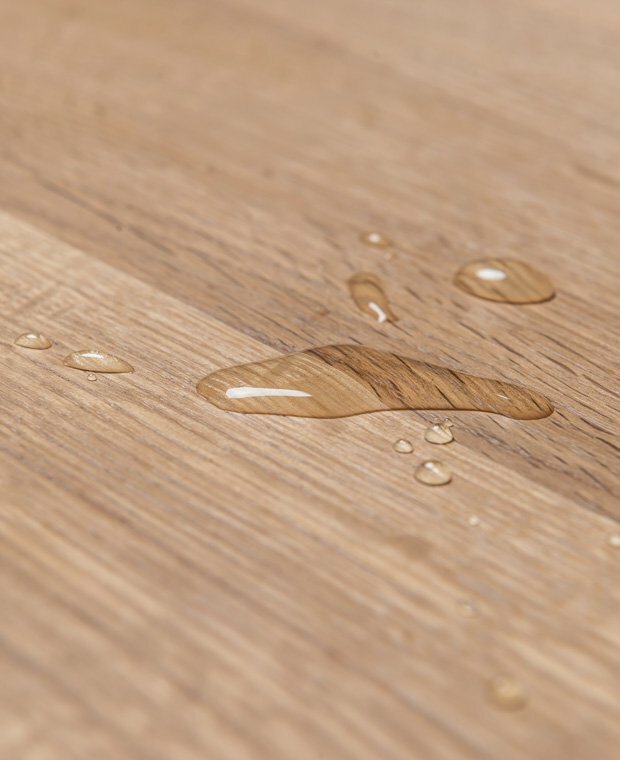 For impregnation, we use natural oils that let the wood breathe. The protected surface doesn’t flake off, chip or crack. The tops are resistant to liquids, like water, coffee, wine, or juices. 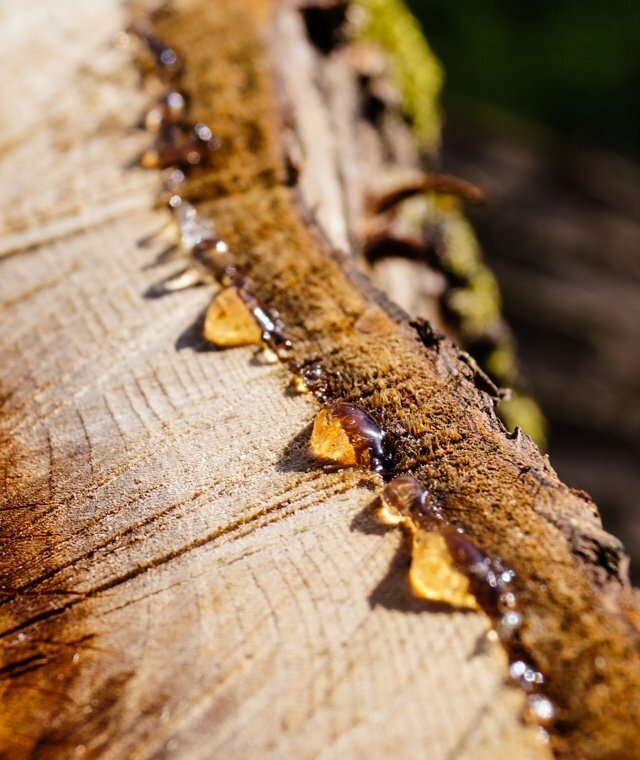 Oil impregnates wood “from the inside”, preserves its natural beauty and at the same time protects it from stains. It’s ecological (made on the basis of natural oils and plant-based waxes), safe for children and intended to contact with food. Thanks to this kind of impregnation, our tables will serve you for many years to come. 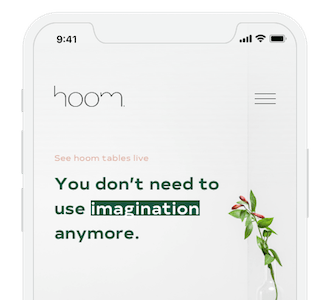 When they get to your home, they will need just a little bit of love and care, just like you or me (read more about how to care for our tables).